Have a fireplace that isn’t functional? 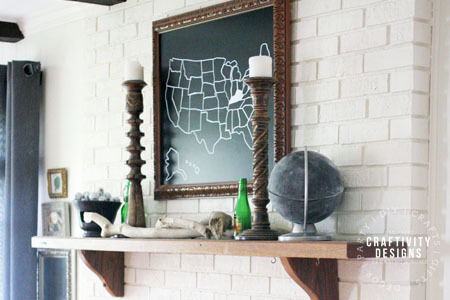 Try one of these quick and easy non-working fireplace ideas to dress it up, in minutes! Though fireplaces in old homes are beautiful, they aren’t always functional. Such is the case in our 1980’s cottage-style home. With two wood-burning brick fireplaces that have seen better days, it’s been a challenge to figure out how to let them ‘shine’ (even if it’s not with a crackling fire). Over the last year, I’ve found several easy non-working fireplace ideas that you can try, too! 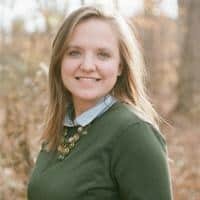 I’m Lora, of Craftivity Designs, and we’re knee-deep in our 3rd home renovation. 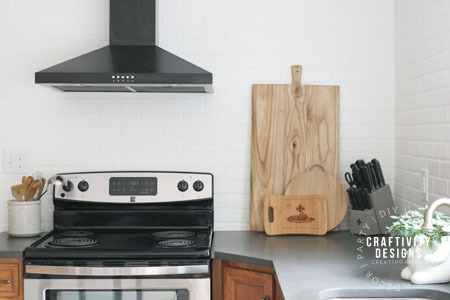 If you’d like to see what we’ve completed thus far, take a peek at our 1-year home update. 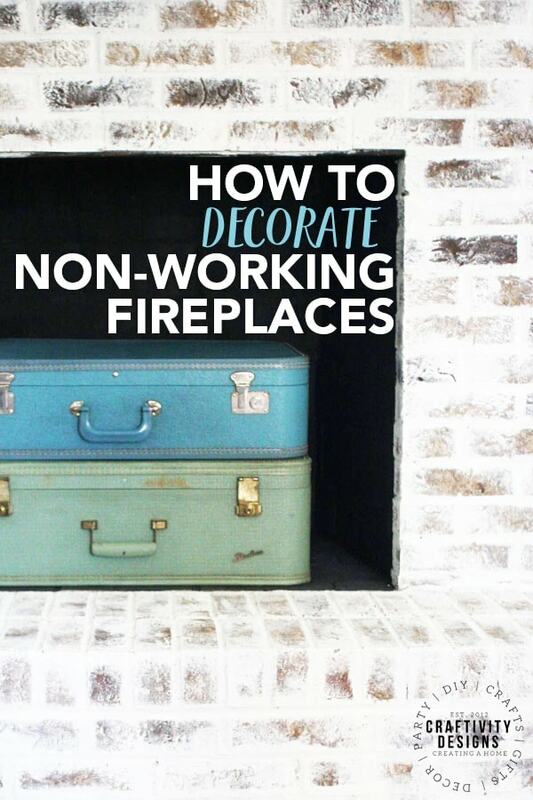 Let’s take a look at 3 simple ways to decorate a non-working fireplace. I’m including a “supply list” to get you started — but, the sky is the limit! After all, there are no fireplace-decorating rules. 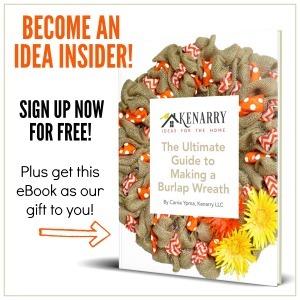 Instead, I want to inspire and encourage you to be creative in your own home. Do you have a collection of vintage suitcases? If you’ve only got one or two on hand, they are easy to find at consignment stores and flea markets. Stack them largest to smallest, inside the firebox. Bonus Tip: This easy solution is a great option for small living rooms. Store toys, extra blankets, and more inside the suitcases! So, what’s inside our suitcases? The green case is filled with remote control toys and the blue suitcase holds all of my son’s nerf guns! If you are looking for a spring update, fill the firebox with faux, or low-light, plants. Mix in rattan baskets for height, especially if the plants are in small pots. Not into faux plants? Give low-light indoor plants a try, such as ivies and ferns. 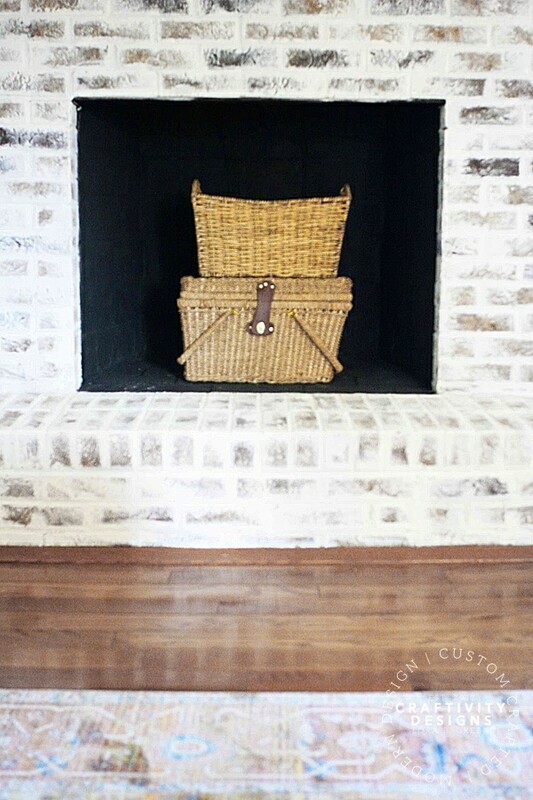 Similarly, even a stack of baskets – sans plants – makes a quick fireplace filler, too. Plus, if you are looking for extra storage, baskets can hold magazines, books, throws, and more. 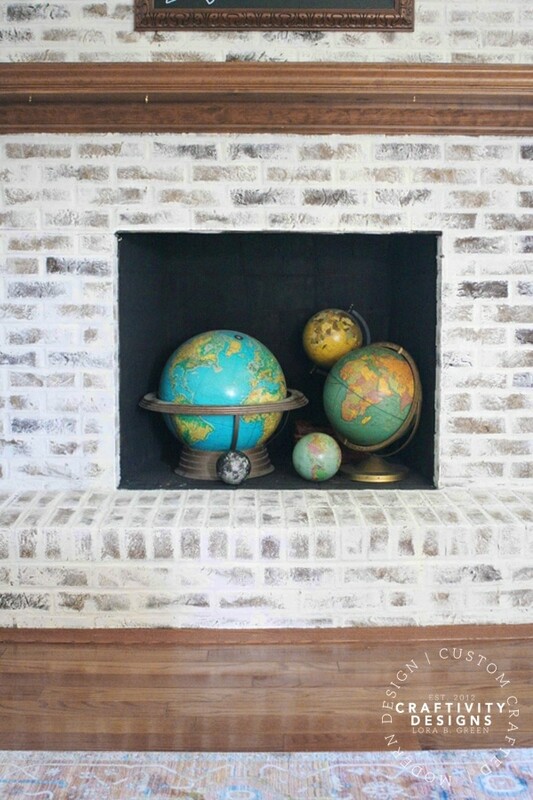 Feature a favorite collection, such as vintage globes. The dark black backdrop inside a firebox allows the colors in our globes to pop. So, what collections do you have? Milk glass? Vases? Even casual stacks of colorful coffee table books would look lovely. 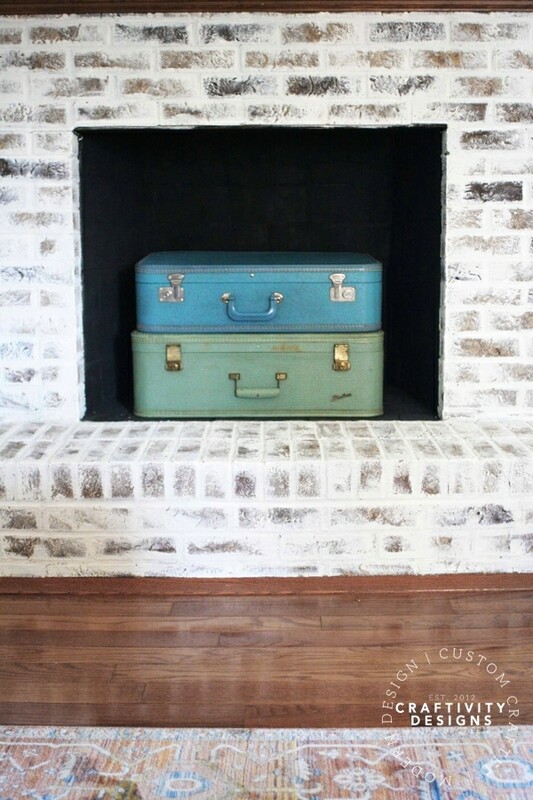 Be creative, and let your fireplace “shine” (pun intended *wink*)! Do you have a fireplace that isn’t functional? What non-working fireplace ideas have you tried? I’d love to hear! Leave a note in the comments. You might inspire someone else who is stuck with an empty firebox. P.S. 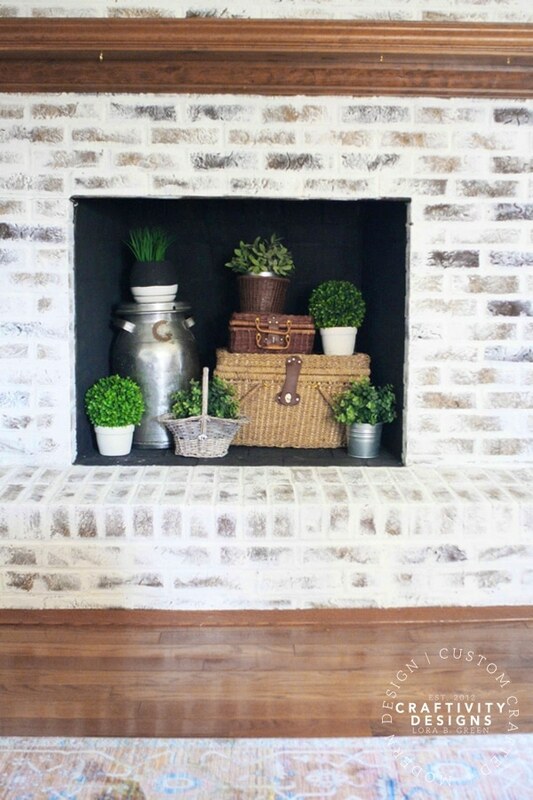 Do you love the mortar wash on my brick fireplace? Well, guess what?! It’s incredibly easy! Head over to view the full German schmear brick tutorial on my blog. 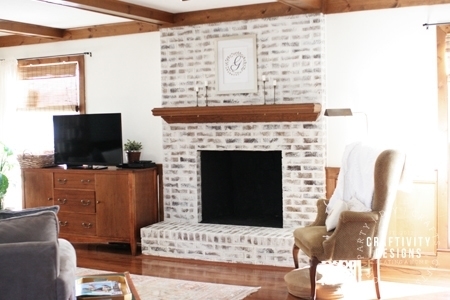 And, if you’re looking for more ideas to update your fireplace area, check out this tutorial on how to stencil faux tile around your fireplace. Follow Lora on Facebook, Pinterest, Instagram and Twitter.